looks like it’s based on this picture from the inside cover of volume 3! Today, 10984 yen on Amazon Japan. 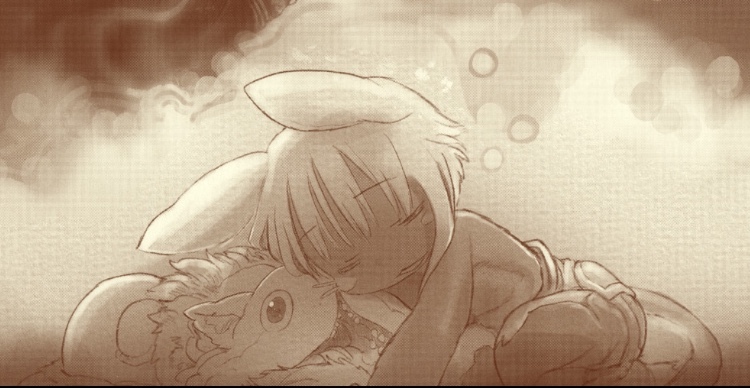 HaruKaze (1 maand(en) geleden) #51884505*Their or them* "Nanachi always uses gender-neutral pronouns, and the writer has left Nanachi's gender intentionally ambiguous"
misssi79 (7 maand(en) geleden) #39681786You have to slide her in snuggly and she looks like a 1/7 to me :D*Their or them* "Nanachi always uses gender-neutral pronouns, and the writer has left Nanachi's gender intentionally ambiguous"
And mine is on it's way from solaris! can't wait to display 'em, in glass cabinet, above my tv, waiting for season 2 :'))) hoping grass won't be too bad, but if that's the case i'll just make a custom field. since the figures are lay down they can be displayed with any base as background. another good thing about this model.